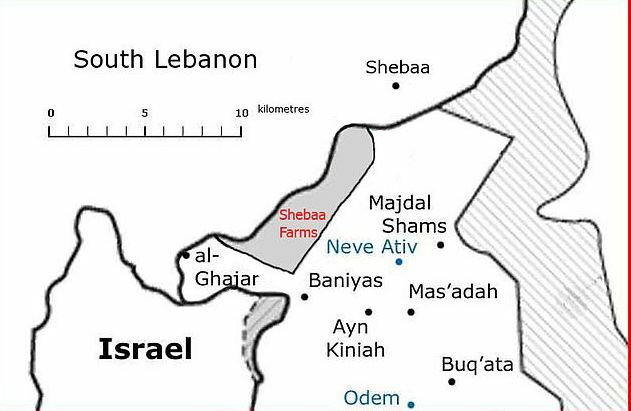 For the first time since the Second Lebanon War in 2006, Hizbullah claimed responsibility for an attack against Israeli forces – in the Shabaa Farms region of the Israeli-Syrian-Lebanese border. It appears that at this stage neither Iran nor Hizbullah are interested in changing the balance of forces with Israel. It should be stressed that Hizbullah’s restraint in confronting Israel comes primarily from an Iranian decision and not because of any Israeli deterrence. Iran’s policy on the use of force by Hizbullah, based on providing clear targets for Hizbullah’s long-range and short-range missiles, is meant to deter Israel from attacking Iran’s nuclear facilities. For the first time since the Second Lebanon War in 2006, Hizbullah claimed responsibility for an attack against Israeli forces in the Shabaa Farms region of the Israeli-Syrian-Lebanese border on October 7 in which two IDF soldiers were wounded. With the attack, Hizbullah sought to transmit the message that it placed its improvised explosive devices (IED) in retaliation for the killing of its demolition expert in Adloun, and it would not permit Israel to act freely in Lebanon in the mistaken belief that Hizbullah was preoccupied in Syria and wouldn’t react.2 Hizbullah wanted to clarify for Israel and, no less important, for its supporters in Lebanon that it could act on two fronts simultaneously and that Jihad against Israel remains its reason d’être. Why, then, did Hizbullah leader Hassan Nasrallah now claim responsibility for the attack on an Israeli force in an area controlled by Israel (considered captured Lebanese territory by Hizbullah) after such a long, eight-year period when Hizbullah restrained from taking responsibility for its acts against Israel. It should be stressed that when Israel unilaterally pulled back its forces from Lebanon in 2000, the UN Security Council endorsed the line of withdrawal, Hizbullah claims notwithstanding. Experts, commentators and reporters have suggested a range of answers that include Hizbullah’s desire to avenge for Israel’s alleged action in Adloun; vengeance for the December 4, 2013 assassination of senior Hizbullah official, Hassan al Lakis, head of the organization’s technology unit, near Beirut;3 and Hizbullah’s wish to establish a new balance of deterrence vis-à-vis Israel. In this new deterrent balance, Hizbullah signaled that it would respond with force, including its readiness to escalate the security situation, in retaliation to any action against it in Lebanon. Moreover, Hizbullah’s military entanglement in Syria is seen by some in Israel as advantageous to Hizbullah since its forces are gaining considerable and quality military experience for a future war with Israel. Thus, the more Hizbullah is exaggerated in Israel as some great military power, the Hizbullah propaganda machine presents the quotes from the senior IDF officers and others as rising fears in Israel from a confrontation with the Shiite movement. It can be assumed that Hizbullah needed at least several days to prepare the latest IED action – for finding an appropriate area, placing of IEDs, and setting the best time to activate them. Analysis of events show that two days prior to the attack Hizbullah suffered an embarrassing military collapse in the area of Brital close to Baalbek. Forces of the Syrian rebels belonging to Jabhat al Nusra (Nusra Front), fighting Hizbullah in the border area between Syria and Lebanon already for a long period, captured Hizbullah positions and killed more than ten Hizbullah fighters. In a key step, they also videotaped the results of the battle and graphically presented many of the Hizbullah fighters’ bodies left on the battleground. The viral distribution of the video on the Internet6 embarrassed Hizbullah. These weren’t brave Hizbullah warriors returning in coffins from Syria for burial in their home villages, but smashed bodies, the victims of the Nusra Front’s victory. Such pictures of defeat threaten Hizbullah and badly hurt the image of a triumphant movement. It was difficult for Nasrallah to take the pictures of defeat, and in Iran his patrons understood his difficult state. The Iranians granted their basic consent for a concrete action that permitted Hizbullah to make an exception to its policy of holding fire on Israel which lasted more than eight years. The result – the placement of sophisticated IEDs in the area considered by Iran and Hizbullah as area captured from Lebanon [the United Nations ruled it was captured from Syria in the 1967 war], and therefore a legitimate area for attacks against Israeli targets. Hizbullah’s working assumption was that an attack on the IDF be a hard blow with dead soldiers. But at the same time, the movement assumed that Israel would have a limited refrain from responding and would not expand the localized incident. It appears that at this stage neither Iran nor Hizbullah are interested in changing the balance of forces with Israel. This is the place to stress that Hizbullah’s restraint in confronting Israel comes primarily from an Iranian decision and not because of any Israeli deterrence. Iran’s policy on the use of force by Hizbullah, based on providing clear targets for Hizbullah’s long-range and short-range missiles, is meant to deter Israel from attacking Iran’s nuclear facilities. In the event that Iran’s deterrence fails and its nuclear sites come under attack, the full fire-power that it built and deployed in Lebanon can be expected to be activated immediately even without any specific orders from Iran.